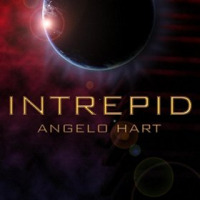 On his second release as a leader, the impressionistic and introspective Storyteller, pianist Angelo Hart impressively balances his instrumental virtuosity with his compositional ingenuity. Hart expresses a range of overlapping emotions as he draws on various influences while creating his intricate and engaging pieces. The melancholic "Daybreak" is filled with a deep and stirring romanticism. Hart's dense and rolling lines mix western classical elegance and a warm, eastern lyricism. With his spontaneous acrobatics and expansive arpeggios Hart creates a textured tune that is simultaneously darkly hued and brightly shimmering. Elsewhere, Hart opens the cinematic "Rhapsody" with a brooding urgency. A mellifluous poetry and a lilting serenity mark his lithe pianism. Hart masterfully infuses the tranquil and wistful mood with a thrilling and pressured insistence. 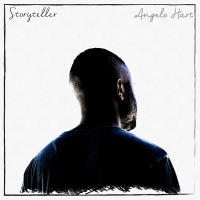 On most of this enchanting release Hart performs solo. There are, however, a few tracks where other, like minded, musicians join him. The exquisite "The Mountaintop" for instance is an introspective and provocative dialogue with bassist Chris Finet. Finet with his thumping, pensive strings echoes Hart and his cascading notes as they complement one another's superb artistry. The breathtaking result is much more than the sum of two individual and independent monologues. Sound artist Jimmy Peggie utilizes electronics to create an expectant ambience on the disc's closer "There Was Stillness." Hart's crisp and short tonal bursts add an angular dissonance and delightfully stimulating edge. An otherworldly atmosphere prevails with Peggie's quietly howling sonic effects and Hart's multifaceted melodic fragments. Hart punctuates Peggie's resonant and reverberating drone with short phrases on the dramatic "Wind and Whispers." Hart's restless chords over Peggie's mysterious and intriguing hum create a soundtrack like feel. Hart moves in and out of the spotlight sometimes with a lullaby like playfulness while at others with an assertive exigency. On this sophomore effort Hart exhibits a charming inventiveness and a mature and unique style. These attributes lead to a cohesive and thematically unified album that is brilliantly cerebral and satisfyingly emotive. Track Listing: Reminiscence; Daybreak; Wind and Whispers; Drifter; The Mountaintop; Moonlight Dance; Rhapsody; There Was Stillness. 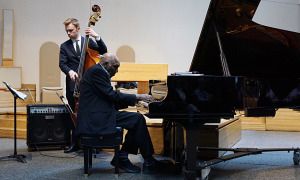 Personnel: Angelo Hart: piano; Chris Finet: bass (5); Jimmy Peggie: electronics (3 and 9).